If you are looking for a promising young herdsire to improve fineness in your herd, Champ is your man! 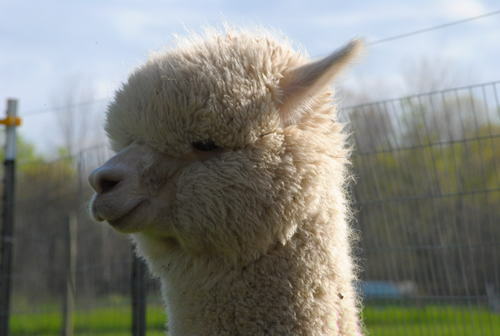 His dam, Acadia Alpacas Phoebe, has maintained her fine fleece and at age four had an AFD of 24.. His sire, Snowmass Royal Accoyol, brings a heritage of great genetics. Champ's fleece has a lovely handle with an SD of 19.9 microns at age two and only 1.6% of fibers >30u. He is quite sure he is ready to work now but because he is related to most of my girls, he is unproven as of yet. 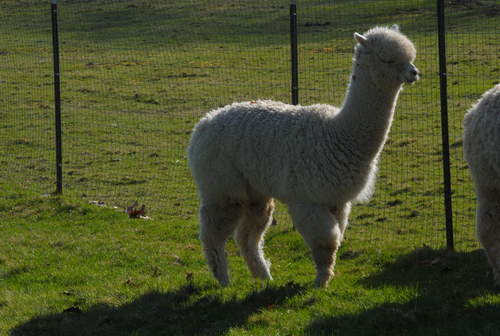 He will be a great addition to your herd!